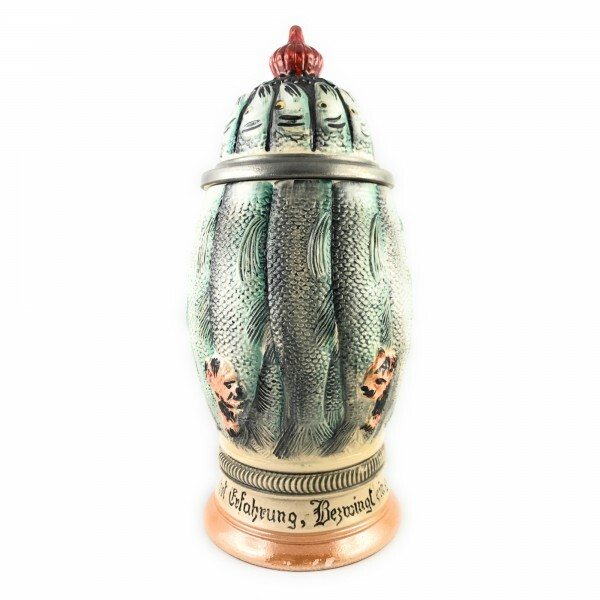 Product information "Herring Fish stein fishes all around"
Herring Fish stein, fishes all around the stein till the top of the lid. Also showing you 2 cats. The stein was made in memory for germans when they have a big hangover, they should eats plenty of sardines and they feel better quickly. Related links to "Herring Fish stein fishes all around"
Customer evaluation for "Herring Fish stein fishes all around"